NOTE: This is the standalone book. Diversity in Families, 10/e by Maxine Baca Zinn, D. Stanley Eitzen, and Barbara Wells is organized around the structural-diversity framework. This framework views family diversity as the norm and follows that all families in society are shaped through their interaction with social structures. Families are viewed not as the “building blocks of societies” but rather, as products of social forces within society. The authors demystify and demythologize the family by exposing myths, stereotypes, and dogmas, allowing students to emerge with an understanding of why families are diverse. Maxine Baca Zinn is professor emerita in the Department of Sociology at Michigan State University. She received her Ph.D. in Sociology from the University of Oregon. Her books include: Women of Color in U.S. Society (with Bonnie Thornton Dill), and Gender Through the Prism of Difference (with Pierrette Hondagneu-Sotelo and Michael Messner). She is the coauthor (with D. Stanley Eitzen) of Social Problems and Diversity in Families, both of which won McGuffey Awards for excellence over multiple editions from the Text and Academic Authors Association, and Globalization: The Transformation of Social Worlds. She has served as president of the Western Social Science Association. In 2000, she received the American Sociological Association's Jessie Bernard Award for expanding the horizons of sociology to include the study of women. D. Stanley Eitzen is professor emeritus in sociology from Colorado State University, where previously he was the John N. Stern Distinguished Professor. He recieved his Ph.D. from the Unitsity of Kansas. Among his books are: Social Problems, which was awarded the McGuffey Longevity Award for excellence over multiple editions in 2000 by the Text and Academic Authors Association, and Diversity in Families (both co-authored with Maxine Baca Zinn), Solutions to Social Problems: Lessons from Other Societies (with Graig S. Leeham) , Paths to Homelessness: Extreme Poverty and the Urban Housing Crisis (with Doug A. Timmer and Kathryn Talley), Sociology of North American Sport (with George H. Sage,) and Fair and Foul: Rethinking the Myths and Paradoxes of Sport. He has served as the president of the North American Society for the Sociology of Sport and as editor of The Social Science Journal. Barbara Wells is associate professor of sociology at Maryville College, where she is also chair of the Division of Social Sciences. She received her Ph.D. from Michigan State University. 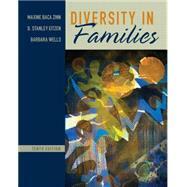 She is co-author of Diversity in Families (with Maxine Baca Zinn and D. Stanley Eitzen). Her research and publishing has centered on marriage, rural families, structural transformation and family life, and Latino families. She is presently working on a book manuscript on the work and family lives of Mexican American women who are daughters and granddaughters of immigrant farm workers.